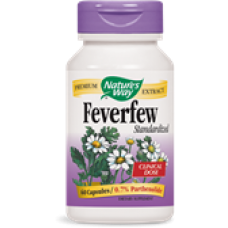 Recommendations:Take 1 capsule daily, preferably with food. Best results obtained with continuous use. Caution: not recommened for use by pregnant or lactating women. 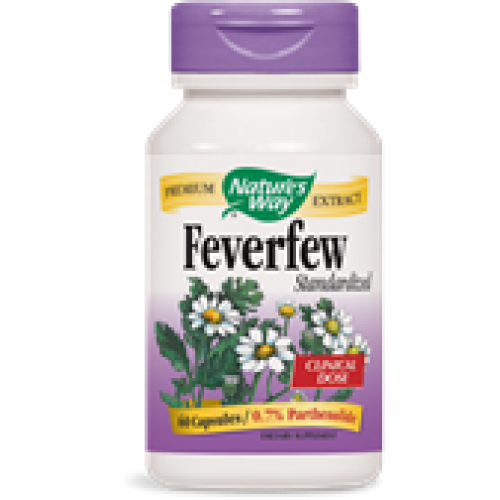 Feverfew (leaf) 200 mg., Feverfew extract (leaf) 0.7 parthenolide 90 mg.